Twitter isn’t necessarily the first thing that you think of when it comes to sports streaming. Platforms like Foxtel, ESPN, Youtube, and NeuLion as well as league run sites such as MLB TV, NHL Game Center and NBA Live generally dominate the market. However last year the outlook of live sports changed as we knew it when Twitter entered into a $10 million dollar deal with the National Football League (NFL) to simulcast 10 of their Thursday night football games over the course of the 2016-17 season. The partnership launched with a New York Jets versus Buffalo Bills game which amassed a massive initial 2 million views, a number that would increase to as high as the 3.1 million reached during the week 14 game between Oakland and Kansas City. In the past year, Twitter has also covered other massive events such as Wimbledon, and the National Basketball Association (NBA) pregame show. What’s more exciting about this, however, is perhaps the how the platform is now partnering with women’s professional sports league, providing them with a platform to reach a wider audience than previously imagined. On May 1 the social media giant inked a three-year deal with the Women’s National Basketball Association (WNBA) that will bring 20 live games a year to the platform. The league will also be joining Twitter’s Amplify program which will have 40 highlight packages per week featured across the site. It’s a commitment that was backed up the following month with another deal, this time between Twitter and the National Women’s Hockey League (NWHL). The “Twitter NWHL Game of the Week” will feature all four of the league’s teams with 19 games being produced over the course of the season including the 2018 NWHL All-Star game and the NWHL/Russia Summit Series. “This is a big and important step forward for our league as we approach our third season. I want to thank Twitter for its dedication to women’s sports.” Dani Rylan, the league commissioner, said in a statement. 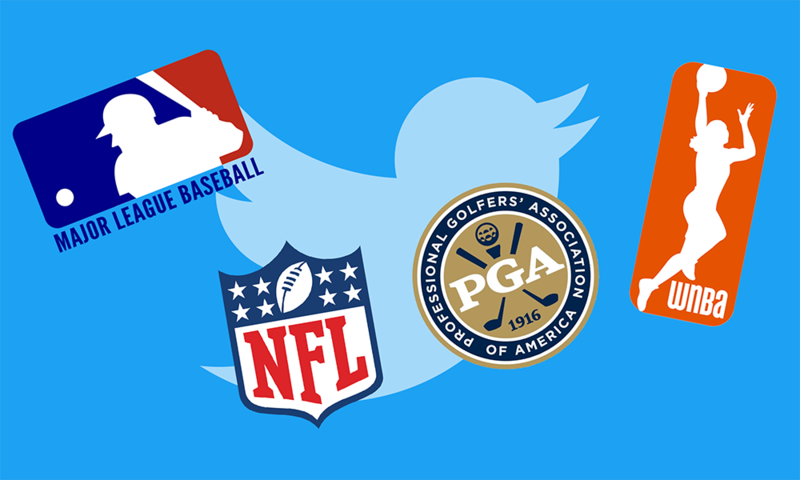 Additionally, Twitter will work with the league to further promote broadcasts and the sport, collaborating on marketing and promotion. The WNBA opening broadcast featuring the Dallas Wings vs the Phoenix Mercury received more than 1.1 million and unique views and an average minutes audience of over 62 thousand. If we compare this to the league previous broadcasting deal with the ESPN network, that’s a massive increase with the highest rated game in the 2016 season reaching only 505,000 total viewers. With sports such as lacrosse also joining the show with National Lacrosse League and Major League Lacrosse games both also currently streaming on the platform, Twitter is turning itself not just into a sports platform, but also one that supports those at a grassroots level bringing hundreds of new viewers into the sports.